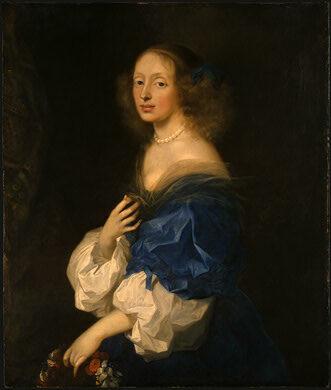 No official birthday holder for today, so here’s someone who’s birthdate we do not know: Ebba Larsdotter Sparre (1629 – 19 March 1662) lover of Queen Christina of Sweden. Ebba was a celebrated beauty nicknamed La belle comtesse. Christina doted on Ebba, always drawing attention to her beauty. When she abdicated and left Sweden, she wrote Ebba passionate letters. Never doubt the truth of this. and believe that wherever I may be in the world you have there someone who belongs to you as much as ever. But is it possible that you still remember me? Am I still as dear to you as I used tobe? Or did I deceive myself when I thought that I was the person you loved most in the world. Ah if that is true, do not undeceive me. Leave me my error, and don’t be jealous of my imagined happiness, which allows me the belief that I am dear to the most amiable person in the world. Christina tried to get Ebba to visit her in Germany, and even tried to see her when she was in Sweden briefly, but these plans were thwarted by Ebba’s family. This entry was posted in history, Lesbian, The Historical Birthday-Tea Party and tagged Ebba Sparre, lesbian history, Queen Christina of Sweden by Cherry Potts. Bookmark the permalink.